Join us for this unique personalised 5 week course, designed to give you the tools and space to learn how to 'go within'. Christina Jagusiak is an experienced Satyananda teacher who has been practicing meditation most her life and teaching it for more than five years. She is so passionate about meditation because it has transformed her life - by changing the way she thinks, feels and acts. 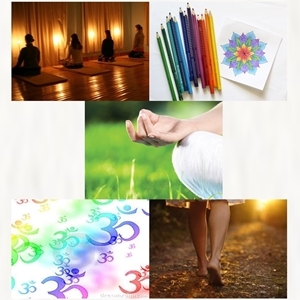 Christina teaches practical ways to connect and center the mind so that you can find that place of stillness and ease admits the movement and distraction in everyday life. Those who have attended Christina’s classes say they have been able to recognise and release tensions, freeing themselves to handle problems with greater skill and enhance their enjoyment of life. Cost: $150 per person, handouts and take home mediation recordings inclusive.